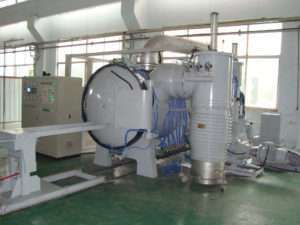 Sintering furnaces that contain MoSi2 heating elements DO require maintenance or cleaning cycles. If not performed regularly, it is likely you can have a shift in color of the final product. This shift will result in darker and possibly a green hue to the sintered restorations. Let me explain in more detail what is actually happening in the furnace. MoSi2 heating elements develop a quartz ceramic coating on the elements. Over time the quartz will develop a lower melting point. This melting temperature is lower than the upper end temperature of the sintering cycle. Once this occurs, running a normal cycle will result in quartz pollutants throughout the muffle in each cycle. These pollutants contaminate the zirconia and result in poor shade matches. In addition to polluting your work, the quartz also becomes attached to the thermocouple. The thermocouple is the device inside the chamber that sends actual muffle temperatures to the control board. Once the thermocouple becomes contaminated the temperature reading becomes lower. This happens naturally over time (6-12 months) and results in an increase of temperature above what was programmed. This overheating can be as much as 100 degrees. For best results, when firing zirconia in a furnace with MoSi2 heating elements it is recommended to use a covered crucible, which reduces potential pollution from getting to the restorations. This will help keep pollutants away from the zirconia. To help rectify this problem, there is now a pollution absorbent powder, that can be placed on a tray and fired in the furnace to clean your furnace from pollution.